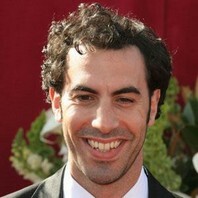 Comedian Sacha Baron Cohen appears as Ali G, a rapper-wannabe from Staines. Ali G has his own TV show, where he interviews people on serious subjects. They're not aware that Ali G is just a... See full summary?? Ali G: You better learn about these things from my man Buzz Lightyear here. Ali G: With men and women, does you think that men should marry only one woman? Does you believe in mahogany? Ali G: Let's talk about some conspiracy things. Let's go back to the grassy knoll. Who actually shot J.R.?